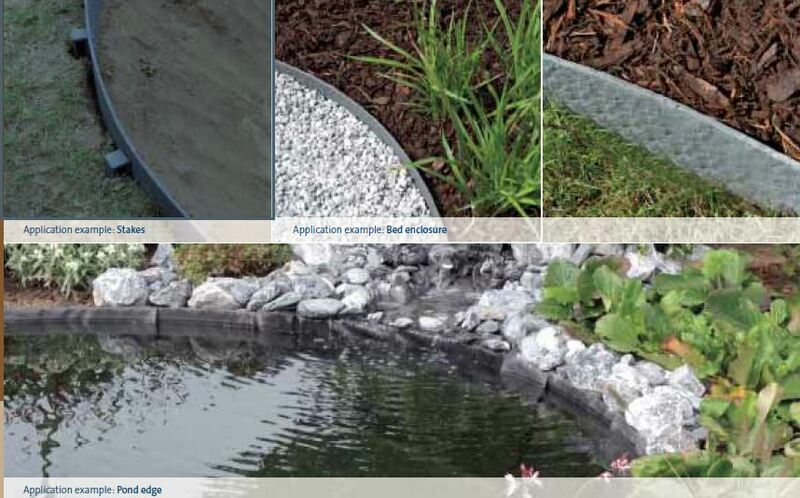 With our new pond edge system you can create pond edges as capillary barriers, as well as enclosures for flower beds or paving. 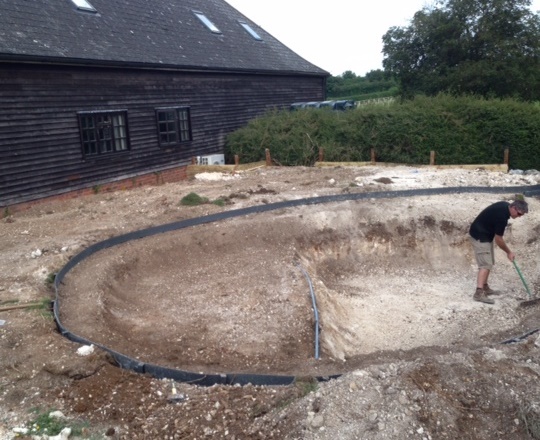 This system stops surround soil from moving into your pond and can be used to ensure you have an water level all arround your pond. Every 0.5 m simply drive a ground stake firmly into the ground and then fasten the pond edge on the ground with self tapping screws (not included). That‘s it! Best of all: The system consists of 100% non rotting recycled material and has a long service life! 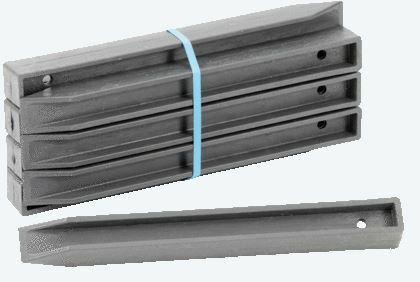 This pond edge can also be used to secure pond liner to walls of concrete pond where the liner can not com over the top edge of your pond. 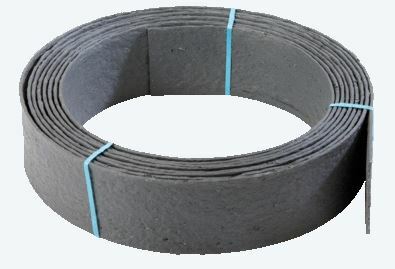 Protects your pond liner from damage.